When you think of Crystal Palace you could be forgiven for thinking about the football team rather than its gastronomic exploits. Crystal Palace however is a foodies haven where there are lots of great restaurants to choose from. The newly opened Crystal Palace Market Place could be a great addition to the high street. The unassuming restaurant which opened its doors in May 2013 has been a mainstay for locals ever since. The concept is simple fresh, flavoursome food sourced locally and in season. Just how Foodie Force likes it. As a foodie I was keen to check out The Crystal Palace Market to see if the food was as wonderful and as reliable as Crystal Palace favourites, Joanna, The Exhibition rooms and Yak and Yeti. We begin our meal with some cocktails, a French Martini (Chase vodka shaken with Chambord black raspberry Liqueur, lime juice, and raspberry puree £7.50). 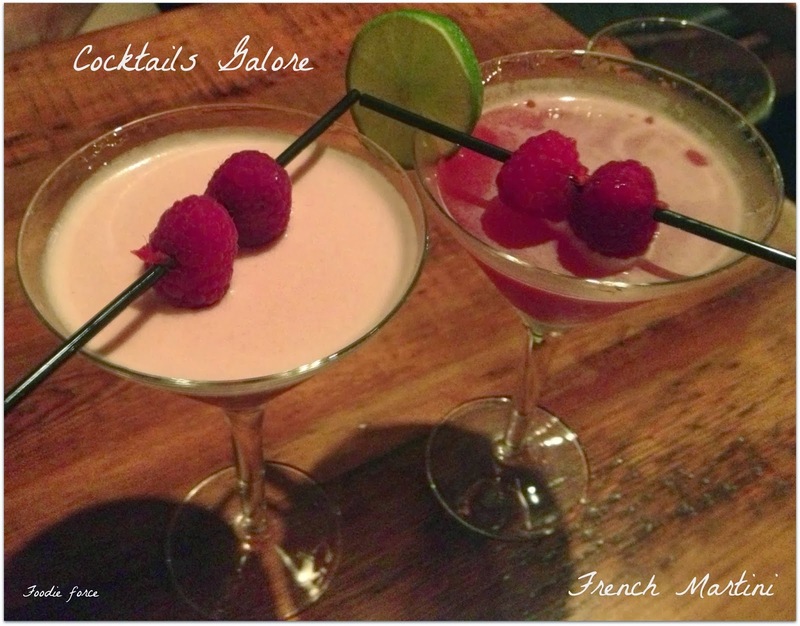 Both cocktails have just the right amount of alcohol, raspberry and tartness of lime, delicious. They were however a little on the small side. 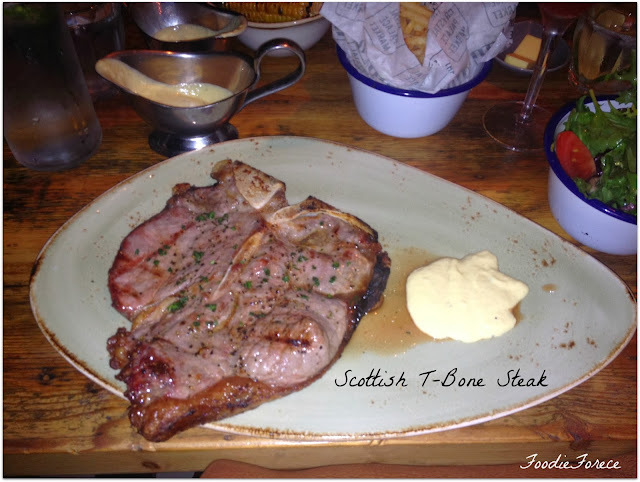 As the restaurant is known for its steak and fish, the choosing of my main meal was easy I plump for the Scottish T-Bone Steak (£24.50), french fries (£3) and salad (£2.70). Yes, yes I know what you are all thinking, its bloody huge. Well if ever there was a definition of a carnivore it would be my picture you would see in the dictionary. Sorry to the vegetarians amongst you. My steak was cooked to perfection (medium/rare) was tender and very full of flavour. Is it the best steak I have ever had in my life, no but for a local restaurant it rates high. 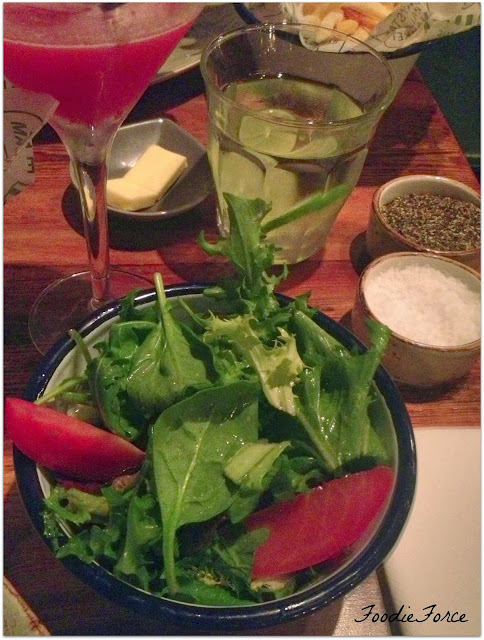 The vinaigrette on the salad was lovely and even though I was completely full I enjoyed chomping away on it. 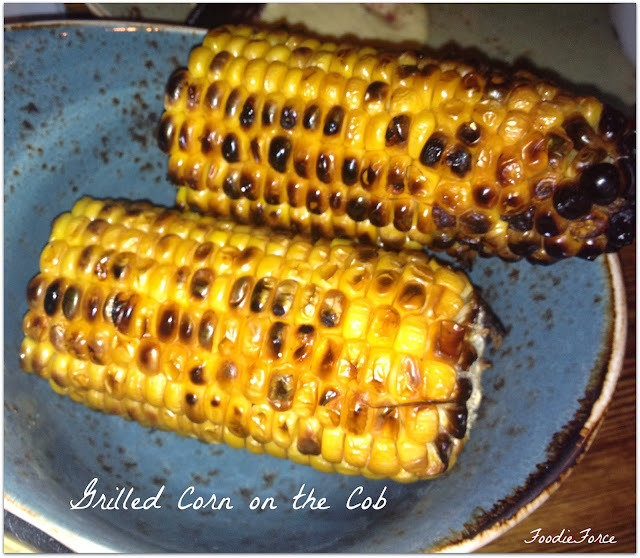 Grilled corn on the cob (£3) straight off the BBQ can never be beat. These were really sweet. 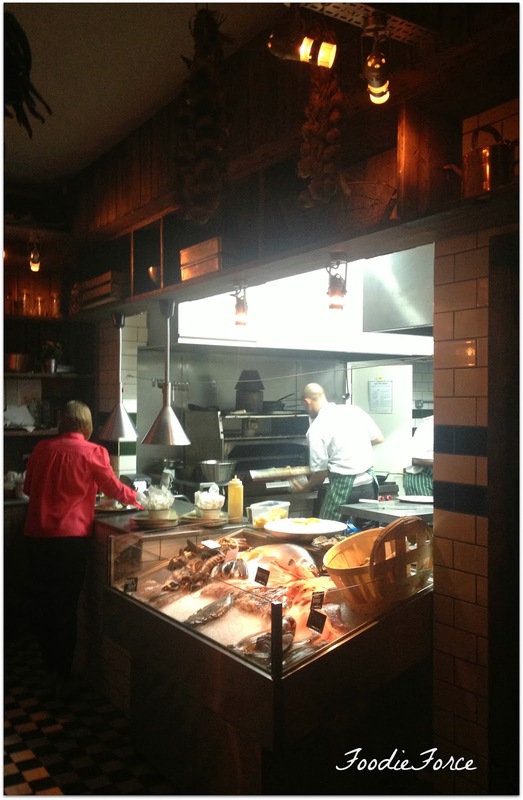 Overall an enjoyable meal with friendly and efficient staff. I will definitely be back to sample the fish on offer. The cocktails look so nice! & yes you're right we were thinking 'it's bloody huge' ;-) Looks delicious.